Welcome to the personal web site of Dr. Jeffrey C. Carrier, Professor Emeritus of Biology at Albion College. Dr. Jeffrey Carrier became a faculty member at Albion College in 1979. He retired from Albion College in December, 2010. He received his Ph.D. from the University of Miami in 1974. Dr. Carrier also holds an appointment as an Adjunct Research Scientist with Mote Marine Laboratory (Sarasota and Summerland Key, FL) and a courtesy appointment as Professor of Biology, Florida International University. In addition to extensive writing and editing technical reference texts on all facets of the biology of sharks and other elasmobranch fishes, he serves as a consultant, providing public lectures on a variety of topics related to his shark research and south Florida ecosystems. 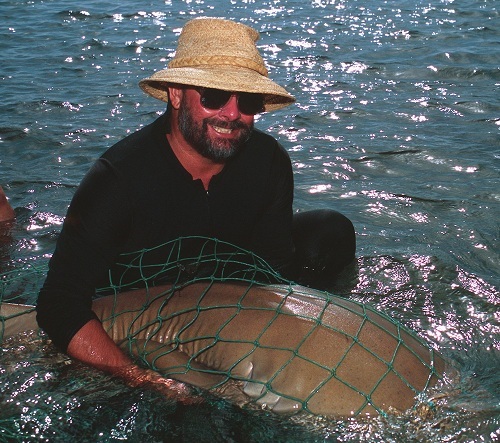 His primary research interests center on studies of aging, growth, migration, and reproductive biology of nurse sharks (Ginglymostoma cirratum) in the Florida Keys. 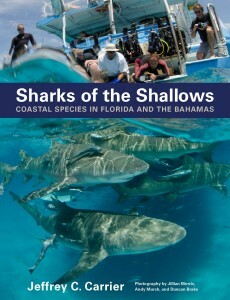 His studies with long-time colleague Harold L. “Wes” Pratt documented the courtship and mating behaviors of nurse sharks, and his work has been featured on numerous television shows. The Biology Department has long been committed to faculty/student research. 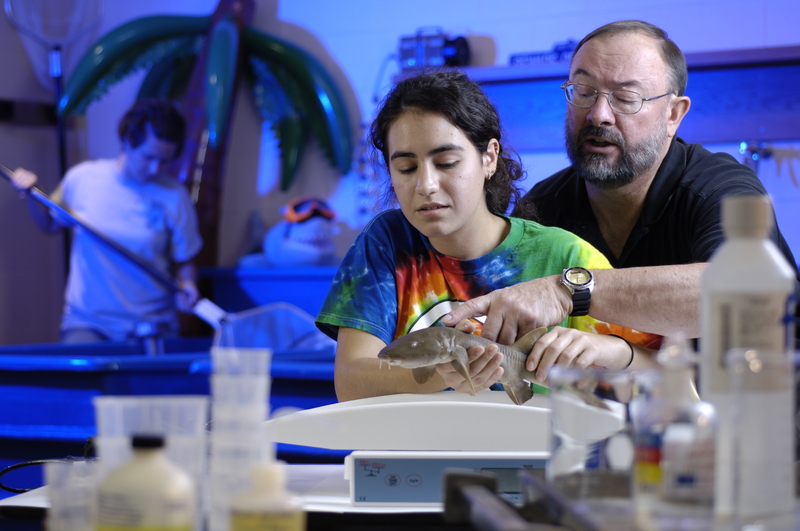 With the Biology Department’s Geneticist, Dr. Ken Saville, Carrier, two Albion College students, and Wes Pratt, published a paper in 2002 revealing multiple paternity in litters of nurse sharks. 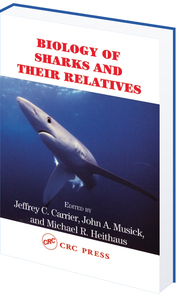 Additionally, a paper written with former student, Dr. Nick Whitney (Class of 2000) and Wes Pratt, examining reproductive behaviors in whitetip reef sharks (Triaenodon obesus), appeared in the December 2004 issue of Animal Behavior, and a second paper examining three-dimensional accelerometry as a tool for characterizing mating activity in nurse sharks appeared in Endangered Species Research in February, 2010. 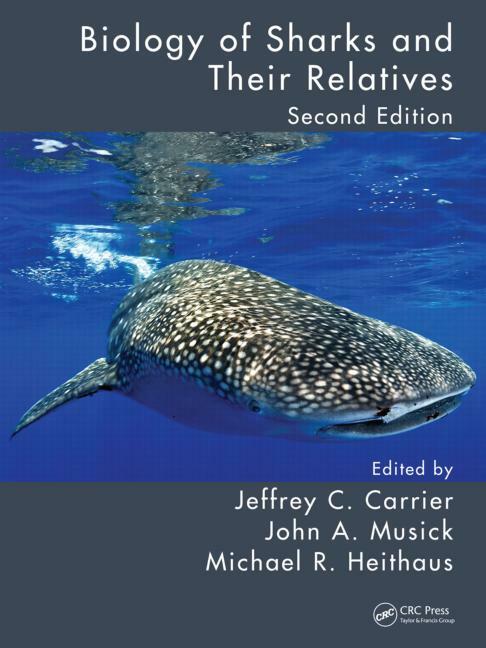 Another paper published in the Canadian Journal of Fisheries and Aquatic Sciences (October, 2007) was published with Carrier and former student Dr. Derek Burkholder (Class of 2004) and documented changes in shark populations through time in the Florida Keys. The first Edition was completely revised and Edition 2 of that volume was published in April of 2012. A third edition is contemplated for 2020-21. 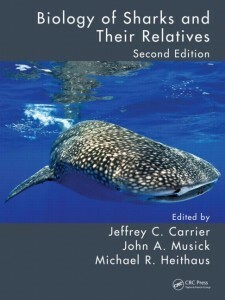 A second Volume – Sharks and Their Relatives II: Biodiversity, Adaptive Physiology, and Conservation – was published in March of 2010. 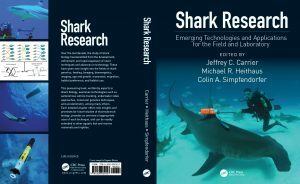 Johns Hopkins University Press (JHUP) released Carrier’s book, Sharks of the Shallows in August of 2017.
applicable to studies of other marine groups, as well. 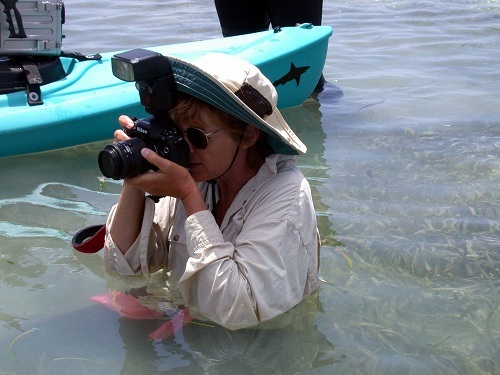 Carrier has been a longtime, active member of the American Elasmobranch Society (AES), having served as Secretary, Secretary-Editor, and a member of the Board of Directors for multiple terms. He completed two terms as President of AES at the end of 2007. He has also maintained a longtime affiliation with the Newfound Harbor Marine Institute (NHMI) at Seacamp where he served as Program and Facilities Director before coming to Albion College, and served as a member of the Board of Directors until 2010. An environmental education/marine science facility located on Big Pine Key in the Florida Keys, NHMI has provided logistical support for Carrier’s Florida Keys studies for more than 40 years. Numerous Albion College students and graduates have completed internships at NHMI and many have served as staff members. In the summer of 2015, in conjunction with Seacamp and Jillian Morris, President and Founder of Sharks4Kids, Carrier developed a S.T.E.M. Program for middle school girls in Monroe County (Florida Keys) to introduce them to the marine sciences and basic shark research. Carrier and his students have appeared in 17 shows produced for network and cable television, ranging from National Geographic Explorer and Discovery Channel specials to Florida Public Television documentaries and segments for Jack Hanna’s Animal Adventures and FOX Television’s Wild Animal Moments series. His most recent collaboration has been with the remote imaging laboratory of the National Geographic Society and Dr. Mike Heithaus of Florida International University. 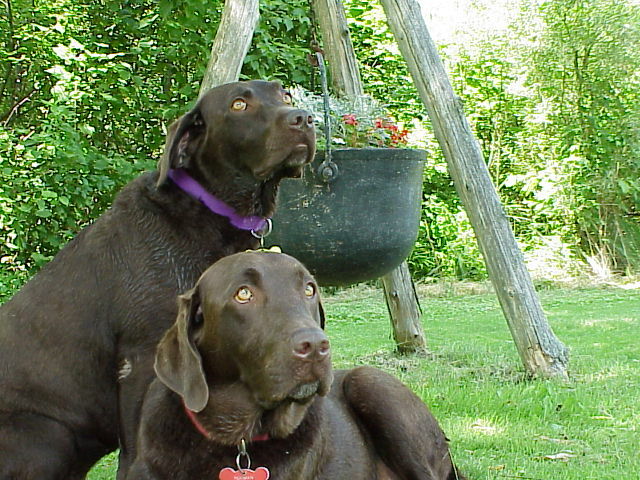 These projects resulted in the production of an episode for the National Geographic Television series Crittercam Chronicles. In addition to his studies of shark reproductive behavior, Carrier collaborated with the National Geographic Society’s Remote Imaging Laboratory to utilize Crittercam, an animal-borne video and data recording system, as an adjunct to studies of courtship and mating behaviors. 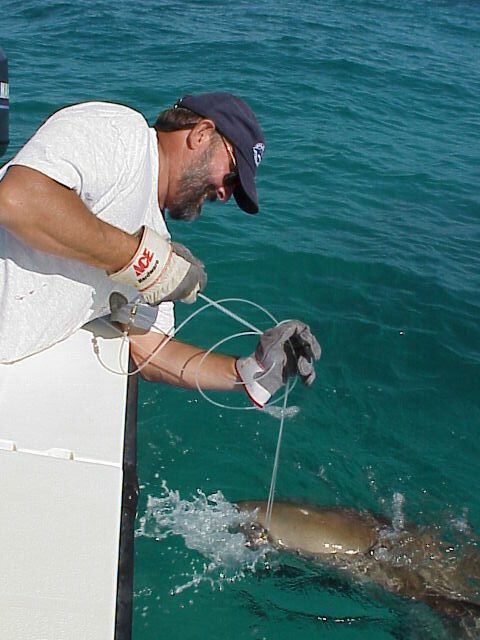 A Crittercam carried by a 256cm (8.4 feet) male nurse shark during the 2001 pilot study is shown above as the large object attached below the first dorsal fin. 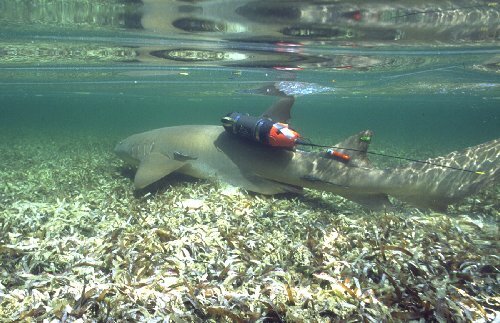 A small VEMCO® Ultrasonic Transmitter, the smaller, red, cylindrical object below the second dorsal fin, is also used to aid in tracking these animals. National Geographic On-Line joined Carrier and Pratt in the field for a week in June, 2002, and articles featuring their field study are featured on Geographic’s On-Line website. This study was part of an on-going collaboration between Albion College, Florida International University, and the National Geographic Society’s Remote Imaging Lab, and was supported in part with funding from NOAA’s Sea Grant National Strategic Initiative Program, the W.W. Diehl Trustees’ Professorship, and Hewlett-Mellon Faculty Development funds from Albion College. When away from Albion College, Carrier enjoys diving and wildlife and underwater photography and is an avid fly-tier and fly fisherman. He spends (not nearly enough) time fly fishing the trophy trout streams of northern Michigan with his wife, dive buddy, and first mate, Carol (shown holding a juvenile nurse shark in the photo above and photographing the tagging and placement of a Crittercam on a nurse shark ). Dr. Carrier is a veteran, having served in the United States Coast Guard and Coast Guard Reserve from 1964-71. He continued to work with the U.S. Coast Guard Auxiliary through 2014 in Alpena, Michigan (Flotilla 091-26-04), serving as Coxswain of a 25′ Defender Class vessel (“Response Boat – Homeland Security”) used for Search and Rescue and Marine Assistance by the Coast Guard Auxiliary in Alpena.